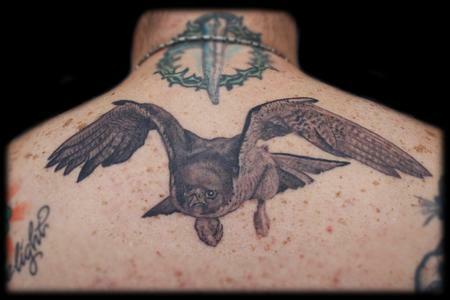 Tattoos » Page 7 Now viewing page 7 of 7.
photo realistic black and grey peregrine falcon cross shoulder/ upper back tattoo. did this on a custom woodworker named josh. 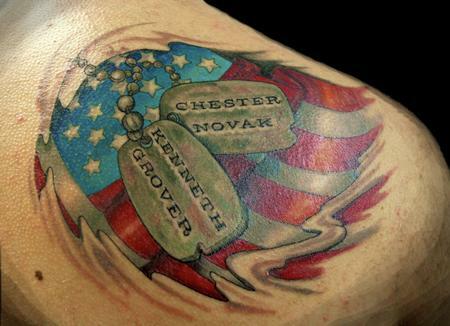 the tattoo really embodied his story of bouncing back without brain damage after coming out of a long term coma. 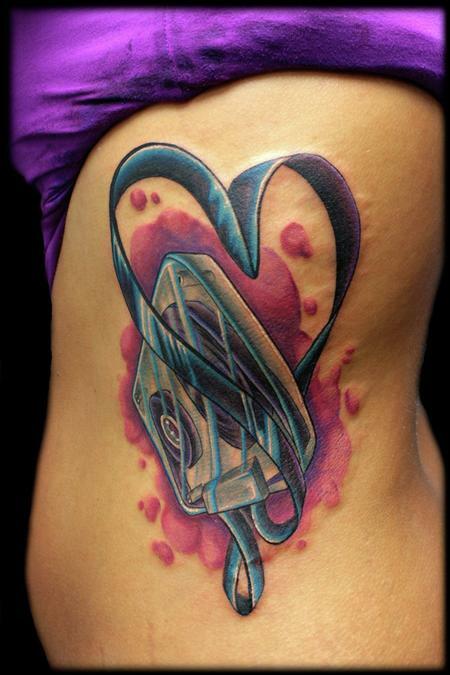 tattoo i did a while back. here's a japanese gate with my spin on some traditional wind in a pine forest. 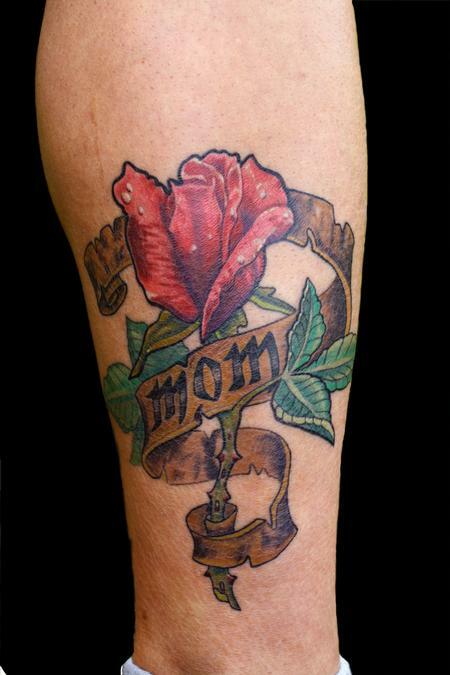 it was a tattoo to celebrate the client's recent promotion in his martial art. i took aspects of the emblem and the origin to come up with this design. work in progress black and grey vintage microphone in-front of a moon tattoo. 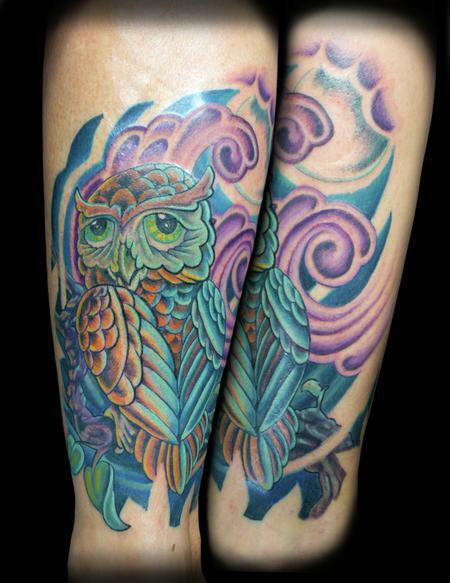 one more sit as a beauty pass and to flush out the background a bit. 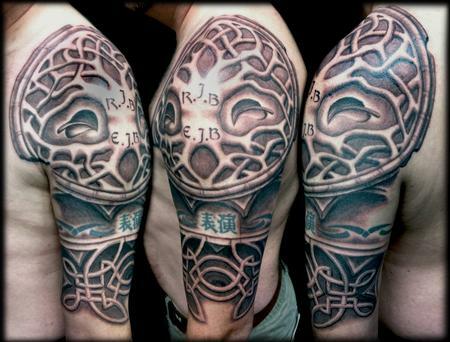 this was a fun black and grey piece to do! here we've got a stone caved celtic tree of life with a little custom celtic eye design at the bottom. 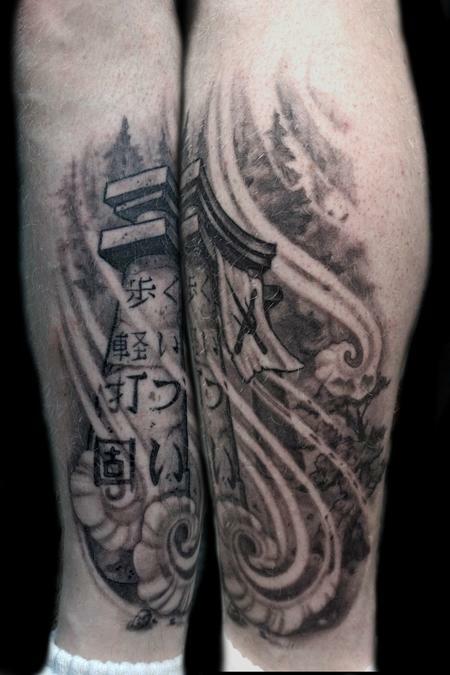 the kanji were there originally and we did the entire tattoo in one sitting. i would love to do another carved celtic tree or other celtic design to play with more texture and patterns. 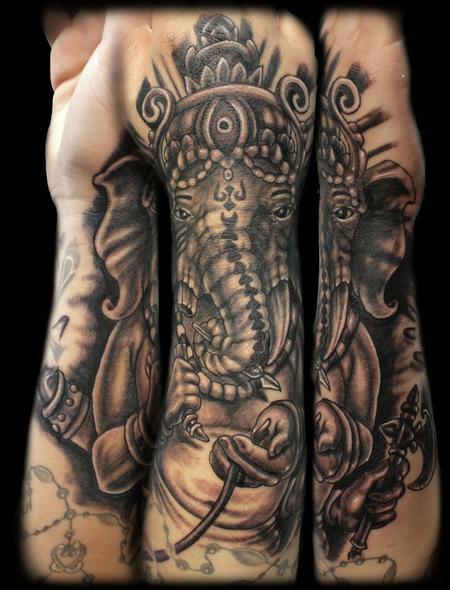 black and grey tattoo done on a great client. 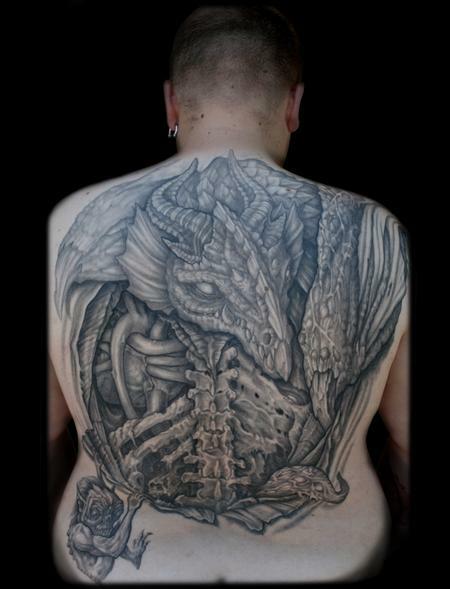 he came to me with the idea of a dragon ripping open his back to expose his heart and releasing the inner demons. i put the goblin/monkey demon and tentacle just for fun. 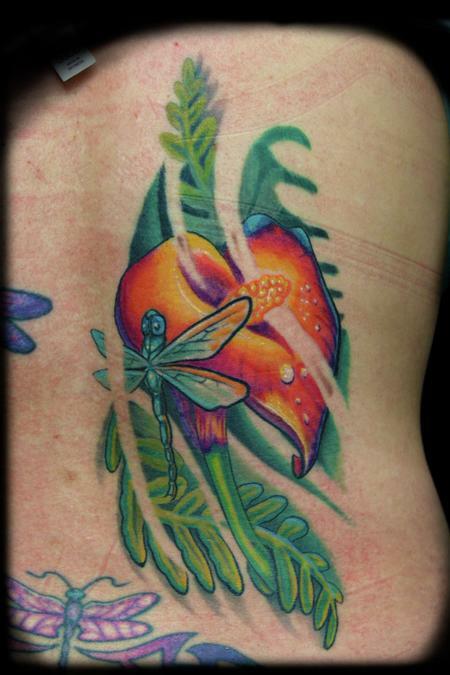 one of my favorite pieces to do! 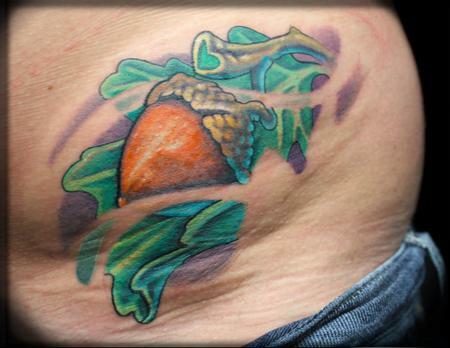 new school acorn and oak leaf matching mother daughter tattoo i did on a hip for a two great clients.